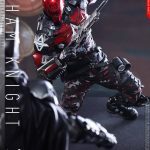 This Hot Toys figure of The Arkham Knight comes with points-of-articulation aplenty, but its biggest surprise may be the additional appearance he carries. 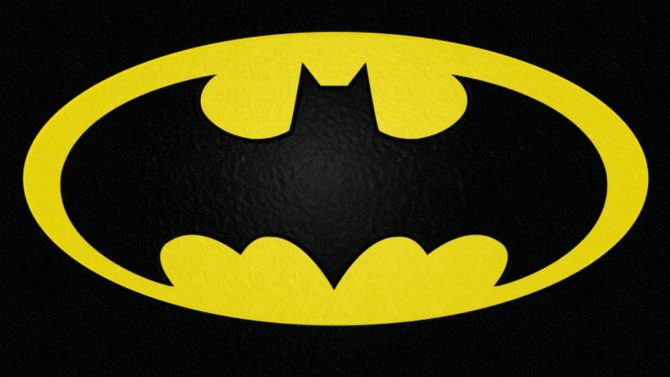 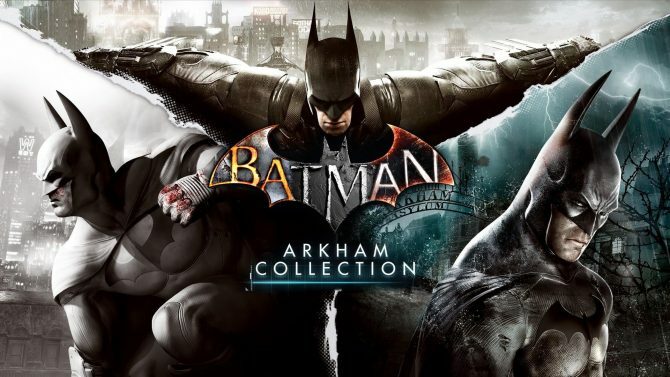 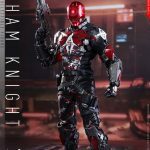 Collectibles manufacturer Hot Toys has revealed that it’s bringing the titular villain from Rocksteady Studios’ popular Batman: Arkham Knight video game series to life via a brand new figure. 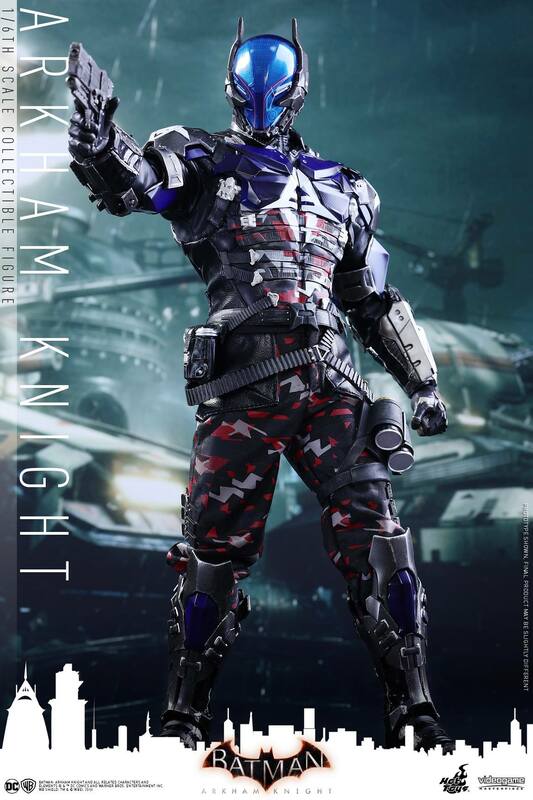 At ⅙ scale, The Arkham Knight is looking flashy and powerful. 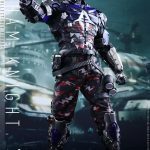 Measuring in at 12.5 inches tall, the figure features 30 points of articulation, as well as a helmet that includes LED light-up eyes, and various black costume pieces to pull the character together. 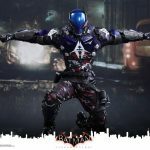 Nine pieces of interchangeable hands also grace this statue, giving the character even more personality regardless of how you would like him to be positioned. 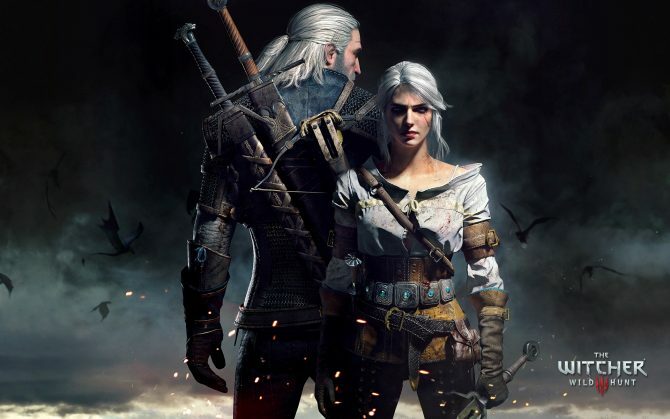 Some of these hands include a pair of fists, relaxed hands, gun-holding hands, gripping hands, and a gesturing right hand. 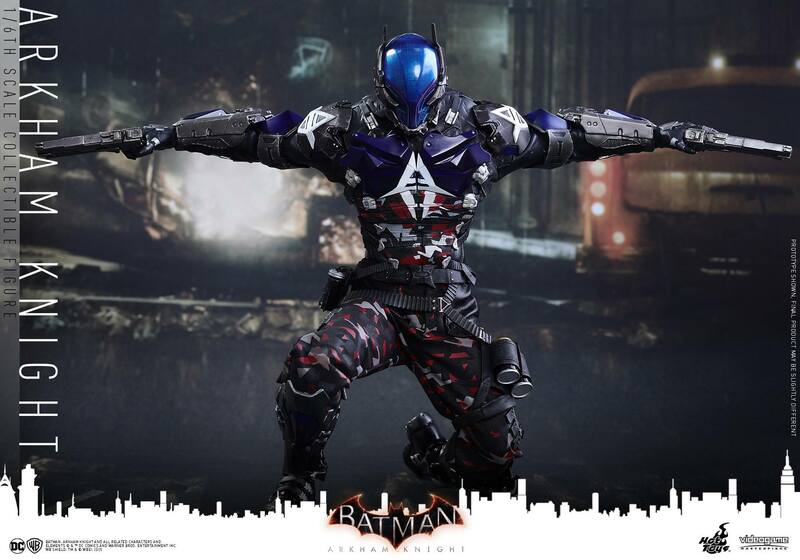 But that’s not all for this Arkham Knight. 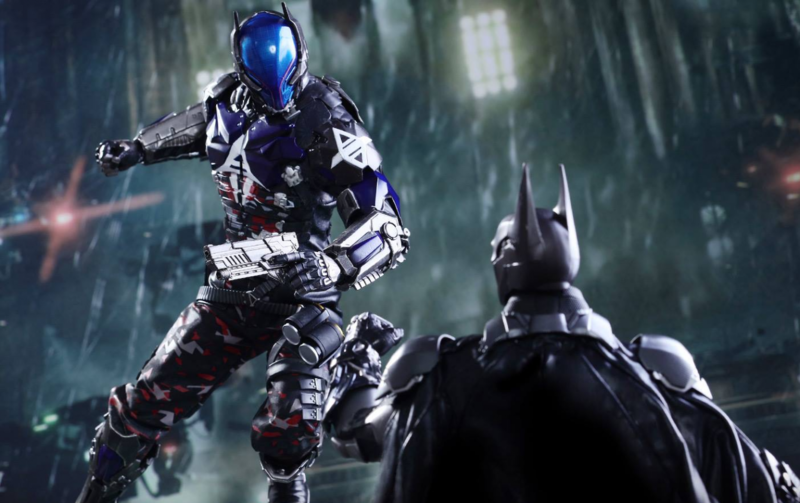 Although he’d be pretty badass without them, the figure also sports one sniper rifle, one pistol, two “modified” handguns, and three smoke grenades. 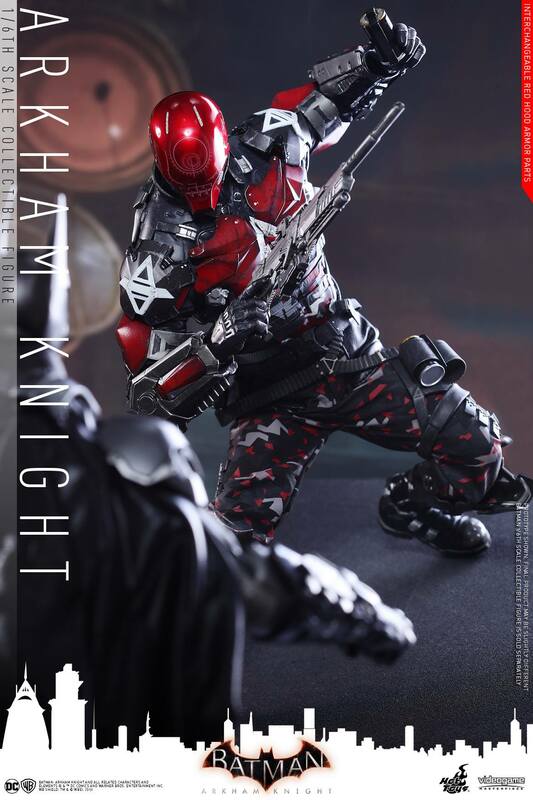 He also comes with a figure stand that features the game’s logo and a backdrop. 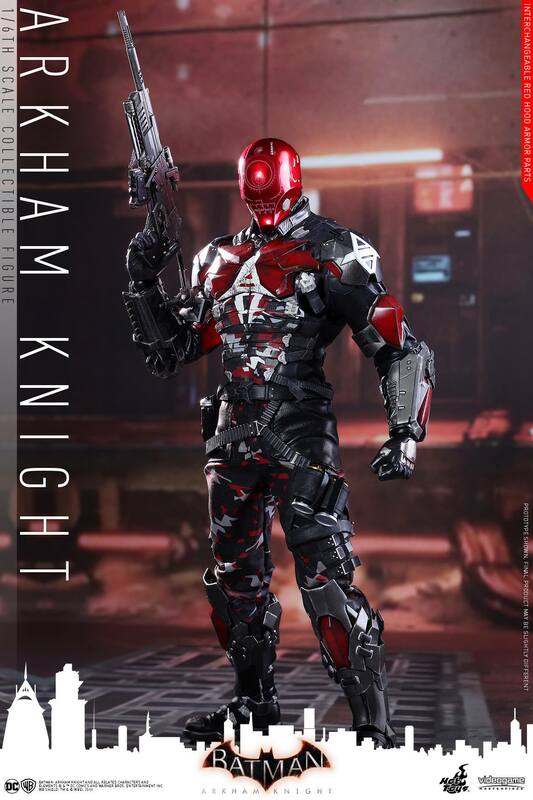 In addition to all of that, The Arkham Knight also includes an alternate red colored Red Hood helmet, demonstrating the character’s true identity from the game series. 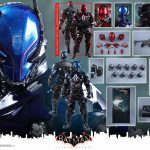 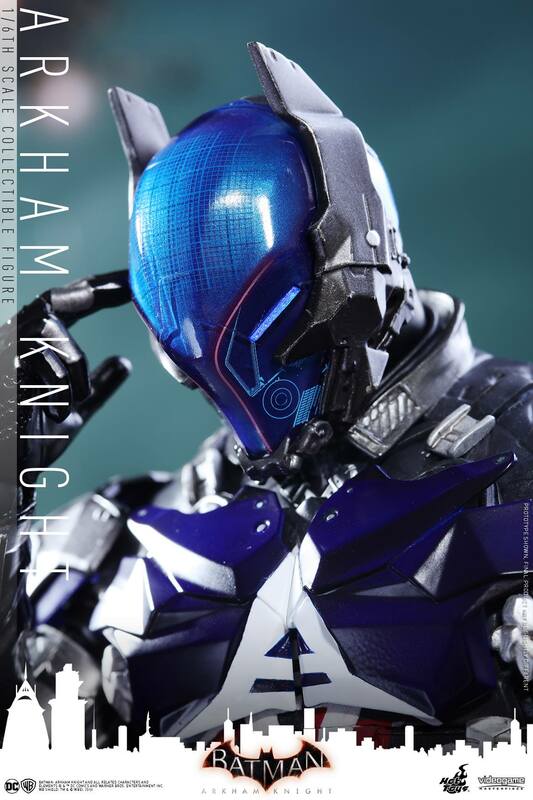 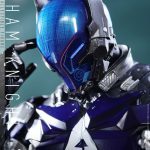 Hot Toys’ Arkham Knight figure is expected to release sometime between Q1 and Q2 2018. 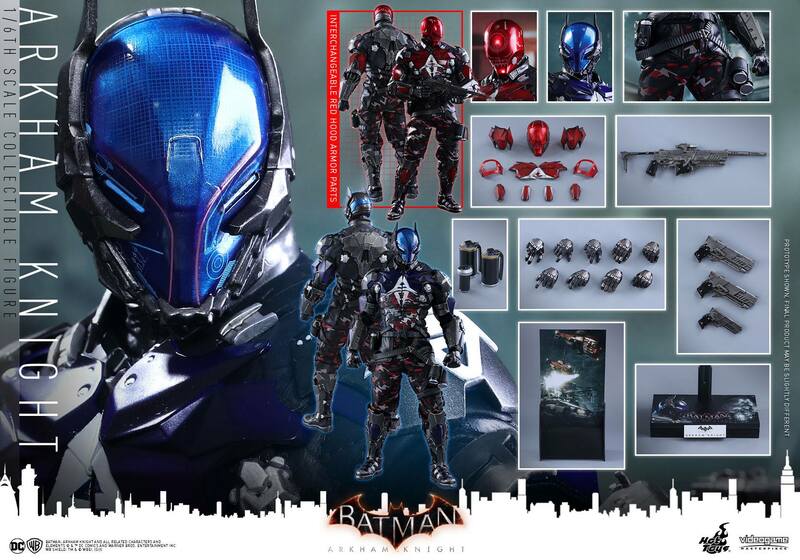 For more information on the figure, check out Toyark’s breakdown. 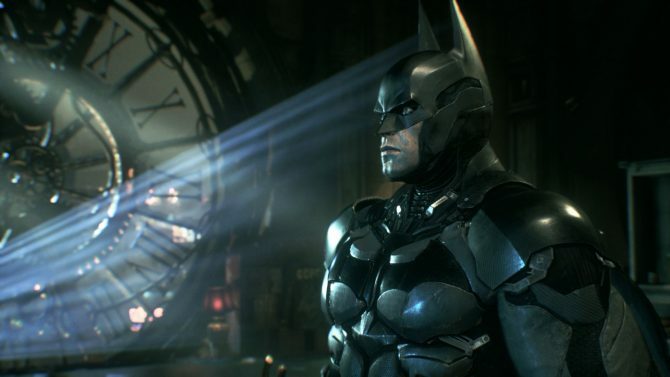 Otherwise, we’ve collected a few of the screenshots for you to peruse in the gallery below.